The Ekiti State All Progressive Congress and a faction of the Peoples Democratic Party loyal to Governor Ayodele Fayose have traded blames over the application for fresh bail out from Federal Government. 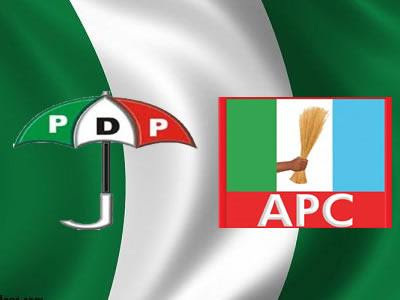 The PDP faction in a statement by its Publicity Secretary, Jackson Adebayo, alleged that the APC had written a petition to President Muhammadu Buhari to block Ekiti from getting the proposed fresh bailout to states. He named a former senator from the state as the brain behind the move to block the grant. “As a party, we can only advise the leadership of the APC to desist from their evil plans against the people and government of the state all the time as no amount of dangerous tantrum being thrown by the opposition in the state can set back the developmental agenda of the PDP government led by an experienced Governor Ayo Fayose,” he said. But denying the allegation, the APC in a statement by its state Publicity Secretary, Taiwo Olatunbosun, said the blackmail was to set the workers against its leaders. The party advised the governor to come clean that he could not meet the conditions set by the Federal Government to be qualified for another bailout. “Fayose has no audited account for the past 18 months. His IGR has no records. He refuses to implement TSA. The debt profile of the state he sent to the CBN is inconsistent with official records in the Debt Management Office while fake workers’ BVN numbers were discovered in records Fayose sent to CBN. Asking Fayose to surrender the state money allegedly in his possession to enable civil servants take their salaries, Olatunbosun urged the Economic and Financial Crimes Commission to comb other banks where the governor allegedly kept the state’s money in secret accounts. “We call on EFCC to beam its searchlights on other banks and his so-called secret South Africa-made safe kept in his Afao home and Lagos where the governor allegedly keeps Ekiti money.